Zombies have lefts screens and have caused panic in the inhabitants of Lake Worth in Florida. This was reported by the authorities of that city after the alert of a blackout, supposedly caused by zombies. The Palm Beach newspaper reported the energy breaking due to intense zombie activity in Lake Worth that left about 7,800 customers without service. However, the only certain thing about the alarm has been the electric power cut. The municipal spokesman Ben Kerr denied the existence of a zombie attack and reiterated that in that municipality there is no such activity. He also commented that electricity was restored 30 minutes later. However, Kerr has not been able to explain the causes of the incident. Why are zombies so feared in the United States? Numerous movies and video games from the United States tell stories of zombies. Even in several film festivals, there is a section dedicated to this kind of characters. But if such fictitious elements do not exist in reality, why are they so recurrent in Americans’ public imagination? Some political scientists and sociologists of that country have made the same question. Noam Chomsky is one of the social scientists who has been given the task of investigating the growing cultural concern about "the zombie apocalypse" in the United States. According to Chomsky, the "fear of" something has always been created in American society, a fact that has perfectly worked to maintain the status quo in that nation. Since the first days of that country, the inhabitants of these lands have been programmed to be afraid. That is to say, since the time of the English, this mechanism of coercion exists; fear of the Native American, the Black, and so on. This has been a form of social control that seeks to consolidate the trust of the inhabitants in those who hold power. The latest biotechnological and pharmacological advances indicate that there are great possibilities that actually a virus is apocalyptic for humanity. However, it is unlikely that a virus will turn humans into zombies. Yet, this does not mean that the North American government is arms-crossed, it’s quite the opposite. Media has fueled the flame of the ghost of zombies, and there even are several pseudoscientific publications that have tried to prove the real existence of zombies. Assumed "scientists" have published in several magazines that a parasite called leishmaniasis effectively causes the decomposition of the body. Interestingly, the parasite comes from the Middle East according to Clinical Infectious magazine. Even a doctor named Naomi Aronson, of the Military Medical University of Bethesda, in the state of Maryland, argued that the condition is also known as jihadist disease. Is it a coincidence? In addition, there are the official steps to instill fear of zombies and, I imagine, of everything that is Muslim. The United States has an observatory of zombie activity and the government tracks "cases" of possible "undead" in its territory; several agencies dedicated to this activity have an indexed database with terms related to zombies. But the truth goes further. The government of the United States studies the social dispositions and the movements in case of a zombie catastrophe in the country. That is, to where the American population would move in the event of an apocalypse. The Blaze is a website that compiles reports of zombie activity. A report published by this website, after comparing, offers a list of the safest places in the United States in case of zombie attack. 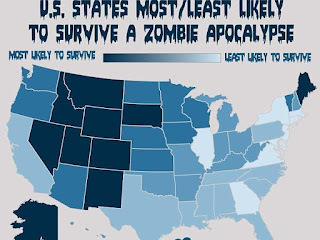 According to it, Kentucky, Utah and Montana are the safest ones, while New York would be desert due to zombies. Maybe to ordinary citizens the report, born from fiction or a comic, is irrelevant but to the thinking tanks of the government is quite a matter. 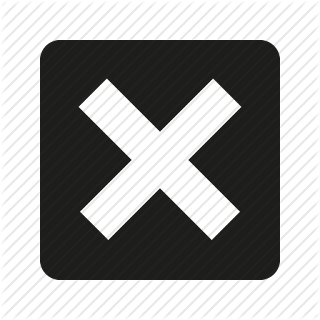 At the level of citizen organization, New York would need better rescue and protection measures than the rest of the states; being the most populated, the exposure to a virus of any kind would spread rapidly, which makes the publication of The Blaze remarkable. On the other hand, the US Center for Disease Control has a list of emergency measures in the event of a zombie attack. The recommendations were made for any kind of urgency. Among the guidelines is to bring food, water and a first aid kit, besides organizing, look for a shelter and prepare an exit plan. Even the automobile industry is part in this growing fear; they currently manufacture anti-zombie survival cars. For instance, in Australia, a 4X4 electric vehicle has been produced to be safe from the undead. The current price goes from 5,000 and 8,000 dollars. I imagine that, even if it is classified, the arms industry has prepared against a zombie apocalypse and must also have its arsenal.